Today’s DC Universe Online introduces a fan-favorite Teen Titans story to life in The Judas Contract. The latest DC Universe Online episode will feature iconic Teen Titans characters like Damian Wayne, Terra, Jericho, Adeline Wilson and the H.I.V.E. Master. Starfire and Cyborg also receive updates in this patch, and Tim Drake has gone from being Robin to being Red Robin. Titans Island, Titans Tower, and the Underground H.I.V.E. base will appear as new locations in the game, and new gear inspired by Cyborg and Red Robin is also available for tech-based gear. Anyone over level 10 can tackle this story content. In the story, Deathstroke enlists the help of a mole to infiltrate the Titans. Cyborg is moving on from the Titans, and this is the perfect time for Deathstroke to get his spy in. Villains also try to infiltrate the Titans, working at the behest of the Fearsome Five and Calculator. Alongside the Teen Titans story arc, DCUO is also introducing the Augments system. Augments will replace Research & Development mods, allowing players to equip items directly onto their characters. 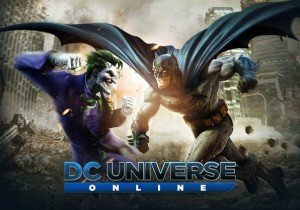 By taking the best elements of R&D mods and combining them with original DCUO lore and new technology, Augments create a more enjoyable player experience. For one month, Digimon Masters players can challenge the File Island, plus other new encounters, starting April 9. Weekly Recap #266 Nov. 23rd - Paladins, Blade & Soul, POE & More!